"You must resist the urge toward the comforting narrative of divine law, toward fairy tales that imply some irrepressible justice. The enslaved were not bricks in your road, and their lives were not chapters in your redemptive history. They were people turned to fuel for the American machine. Enslavement was not destined to end, and it is wrong to claim our present circumstance—no matter how improved—as the redemption for the lives of people who never asked for the posthumous, untouchable glory of dying for their children." Reading has many different purposes. One of the primary ones is entertainment, to take your mind off the things that are weighing on you and activate your imagination. Another is knowledge, the deepen and enrich your understanding about the world around you. And another is to challenge you. To make you see things from a new perspective, to force you to reconsider your assumptions about the way things are. A book doesn't have to fit just one, many get at least two or even all three and more besides. But I think to the extent practicable, it's a good idea to try to make sure your reading touches all of them. Ta-Nehisi Coates is a writer that I find challenging. He's incredibly talented and smart, but he pushes back against the way I'm inclined to view the world left to my own devices. Which are, of course, rooted in my own experience. It's easy to forget that the way you see and interact with the world (and the way it sees and interacts with you) isn't universal. Which is why I was really excited when my book club chose as a selection Coates' lauded Between The World And Me. It's a book I'd been meaning to read and that I was glad I had an excuse to force it upwards on my reading list. Coates structures the book as a pair of letters addressed to his son. 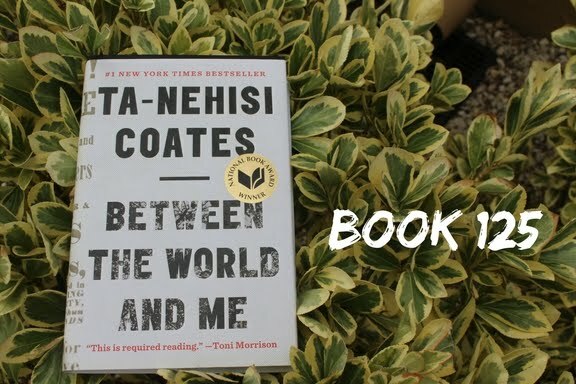 Part memoir and part social commentary, Coates relates his experiences growing up as a black man in America, filtered through the lens of trying to impart the lessons that his son will need to stay safe. Between The World And Me focuses intensely on the body, and the ways that the bodies of black people have been used to fuel the American Dream for white people. It's a startling thing to read about in writing as powerful as Coates' is: what it must feel like to always feel like your body is at the risk of being broken. As a relatively attractive woman, I'm familiar with the feeling of a body that doesn't quite belong to me alone, that others (and by that, I mean men) feel like belongs to them in a particular way. But it's use, rather than breaking, that's usually at issue there. Coates makes the feeling of constantly knowing that your body, and the bodies of those that you love, are targets for violence and rage simply for existing, visceral and real. Coates' love of and fear for his son, his desperate desire to somehow protect him from a world that will see him as a threat simply by virtue of his existence as a black man, is palpable. This book has become a must-read for white liberals who want to learn more about race relations, a group into which I myself fall. I read an article before I read the book where Coates himself addressed the way his book has been received and expressed some frustration about being constantly asked about how he feels about the way white people have reacted to it. He wrote the book after a friend was murdered by the police, but the conversation hasn't been about police brutality. It's been about how to help white people better understand race. That should be a wake-up call, fellow Caucasians. It's not the job of people of color to make it easier for us to understand what they go through, especially when there is plenty of literature, like this book, that will help us to that work on our own. Tell me, blog friends...do you think it matters who the author's intended audience is when they write a book? Good review. I will be putting this one on my list, which seems to be getting longer by the day, but you made it sound remarkable. I know the struggle to keep the list under control (I've mostly surrendered, my husband despairs at how many surfaces in our place are covered in stacks of books), but this one is pretty short at least!